Getting started with and launching an affiliate marketing business may seem like a daunting task, but it really comes down to following a few fundamental steps. The first, and probably most obvious, step is to actually choose the niche that you want to build your affiliate business around. Well, for some it might be, however, it does not hurt to have a systematic approach to niche selection. You will avoid disappointment, not to mention lost time and effort pursuing a niche that was never going to meet your money making goals. When in doubt about where to begin your search for a niche, always start with the person you know best – you! This means taking a hard look at activities that occupy your time in a typical week, whether it’s work, hobbies, a particular passion, or perhaps a societal trend that you’ve noticed lately. Brainstorm some different ideas, get them down on paper, and get ready to evaluate them at the next step (see below). Work-related Skills: Auto mechanics, Plumbing, Carpentry. You may also be able to pick out a good niche from problems or situations that you deal with on a daily basis (e.g. ADHD, Money Management, Public Speaking). Don't discount any ideas at this point. Simply answer this question: "If I could make money with a website based around any topic in the world, what would that be? ", then start writing every idea that comes to mind. We'll evaluate those ideas in the next step. Whatever niche you end up deciding to pursue, you’ll have to make a long-term commitment in order to build up your expert status and earn the trust of prospects and hopefully (repeat) customers. In order to convert your expertise into dollars, you will have to create niche-specific quality content consistently and become involved in the community. 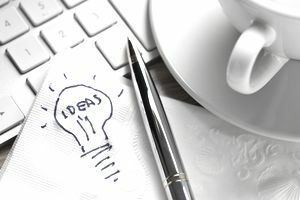 Once you have your ideas jotted down, now we have to determine if there is a profit potential in any of those ideas. Advertising: When you’re on the road, check out the amount of billboard advertising space devoted to items in your niche. City and highway billboards can be expensive, so chances are the companies and products behind the advertising are confident about their market’s profitability and sales potential. On the Internet side of things, you may have heard of Google Adwords, a special program that allows businesses to place small ads in front of users during Google search engine results. Do some Google searches with keywords related to the ideas that you wrote down; do you see other advertisers running ads related to those keywords and what are they selling? If advertisers are running ads in that market, they there is probably money to be made. Magazine Ads: Although many digital marketing experts are predicting the demise of print media as an effective form of advertising, magazine ads still remain a good way to measure the viability of a business niche. If there are magazines in your market and especially if there are advertisements in magazines related to your market then that's a good sign that your passions are profitable. Specialized Magazines and Books: Go to a newsstand and count up the number of magazines in the niche you are thinking about entering. Lots of competition and glossy ads (e.g. Fitness and Nutrition, Home Renovation, Fishing) usually indicate a healthy industry. The same holds for the local bookstore, the New York Times, or Amazon’s best-seller rankings. For example, you see diet books highly ranked on a regular basis; probably means that people are motivated about their healthy and physique. Groups and Associations: The strength of various hobbies, trends, and passions both locally and globally can often be measured by the number of groups involved in its promotion and participation. If there are groups, associations, and trade publications related to a particular topic, that's a good sign that there is an opportunity to reach and profit from the people in those groups. Basically, you have a choice of promoting digital (information) products via ClickBank and competing for web-based platforms, or physical products with other merchants. Digital products have less overhead and don’t require physical storage space, and thus are well-suited for beginners. However, this limits you to selling theoretical and “How to” information to customers. At some point, most affiliate marketers will look to combine digital and physical products to cover all parts of their niche and improve customer loyalty. At worst, you may look to offer physical media packages which are digital-physical hybrids. These are popular in the sports and physical fitness niches in particular. We’ve been talking about niches in this article, but what you really want to establish is a subniche for yourself that is small enough to avoid direct competition from celebrities and powerful organizations, but large enough support your income goals by establishing your “know, like and trust” factor in a meaningful fashion.